Author S. Renée Bess took a detour from penning novels when she invited noted writer Lee Lynch to join her in curating an anthology spurred by the LGBTQ communities’ reactions to the Pulse Nightclub massacre and the resultant examination of the role the gay bar plays in gay culture. 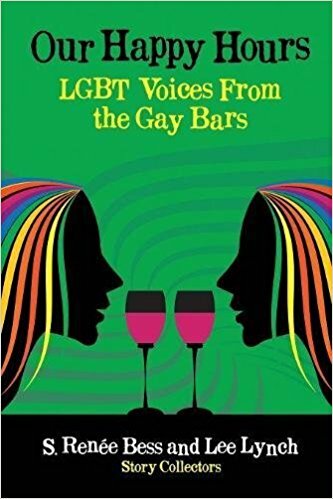 The book, Our Happy Hours: LGBT Voices from the Gay Bars, is a collection of short fiction, creative non-fiction, and poetry from forty-eight LGBT writers (one of my stories is included in the collection). Renée and Lee are donating the book’s proceeds to the Attic Youth Center in Philadelphia and the Ali Forney Center in New York City. Renée Bess is the author of five novels, including The Rules and The Butterfly Moment. Her short stories have been published in Labyrinth, Piece of My Heart, A Lesbian of Colour Anthology, and Ma-Ka Diasporic Juks: Contemporary Writings by Queers of African Descent. This book’s expedition began during the pre-dawn hours of June 13, 2016, when so many of us watched the media’s coverage of the massacre at the Pulse Nightclub. That mass shooting pierced the soul of every LGBTQ person who knew the experience of finding safety, joy, and personal validation in a space where it was okay to slow drag with your same gender partner or hold her/him/them lovingly in your gaze [.…] We writers took to our desks and wrote poems, essays, and blogs [to express] our collective pain. One such writer whose blog captured my attention was Lee Lynch. 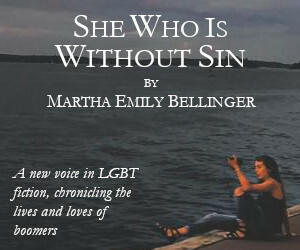 Her words compelled me to wonder how other writers would respond if they were asked about the significance of gay bars and clubs in the lives of LGBTQ people. Had Lee not written that blog, do you think you would have created Our Happy Hours? Yes, I would have put forth my best effort. However, bereft of Lee’s contributions the book would not have been as comprehensive as it is. I would not have had the priceless experience of encountering the grace, kindness, and skill with which Lee communicates. Kudos go also to all of our contributing writers and to our cover artist, Ann McMann, who donated her time and creativity. Our publisher, Patty Schramm (Flashpoint Productions), unselfishly gave us her experience, skills, and resources in order to produce this book. Do your contributions to the book reflect your own experiences in gay bars/clubs? My poem, “Long Story Short,” reflects an experience I had in a straight bar sometime in the early 1970s, a few years before I came out. The fiction piece, “A Night Beyond the City Limits,” is based upon an experience I had in a suburban Philadelphia lesbian bar during the early 1980’s when I was a part-time DJ. Readers will notice there’s a persistent theme of racism in the LGBTQ and club communities in the stories, essays, and poems contributed by the writers of color I wish this theme belonged only to us “old heads.” Unfortunately, the young writers express it as well. Why did you and Lee select the Attic Youth Center and the Ali Forney Center as recipients of the proceeds from Our Happy Hours? We assume the current administration will continue to cut federal funds to organizations whose goals are to help minority people. The Attic and the Ali Forney Center assist LGBTQ youth in need of a support system. Both Lee and I remember the painful struggles we had as closeted teenagers, scared to reveal our true selves to our families, peers, teachers, and most important, to ourselves. We would have welcomed the opportunity to talk to a counselor and to other teens who understood and accepted us without condemnation. You enjoy creating stories about African-American lesbians, their families and their communities. Your characters seem to be products of your observation skills? Perhaps because I’m an introvert, observing people and my surroundings has been a lifelong habit. When you listen and watch quietly you see and hear the subtlest and most nuanced bits of communication and body language. 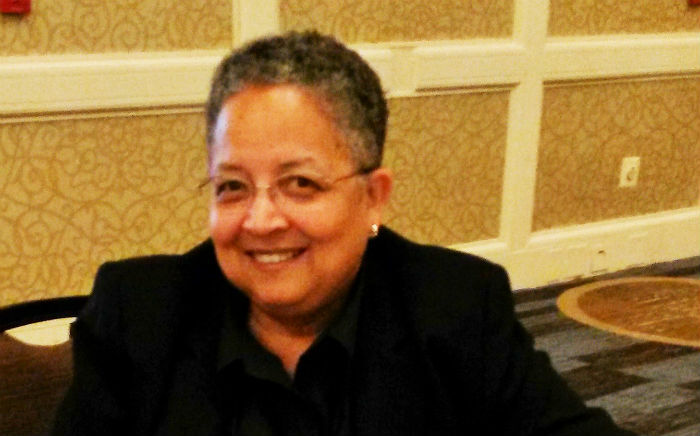 You have been accused of writing narratives for the “thinking Lesbian.” Do you agree? I remember feeling proud of that “accusation.” Certainly entertainment is one of the functions of literature. If a book can stimulate the reader to think more deeply about an issue, a relationship, the consequences of a series of events, that book has risen to another level. After your story “At the Beauty Parlor” won first place in Labyrinth Newspaper’s short fiction contest, you began creating longer pieces of fiction. The results were Leave of Absence, published in 2005, Breaking Jaie (2007), RE: Building Sasha (2008), The Butterfly Moments (2010), and The Rules (2014), all published by Regal Crest Enterprises. Whatever became of Labyrinth Newspaper? Can you discuss the quality of your relationship with Regal Crest Enterprise? Labyrinth, Philadelphia’s best known feminist newspaper, ceased production in the late 1990’s. For more than a decade I’ve enjoyed a solid, collegial relationship with the women who own and operate Regal Crest Enterprise. They have treated me fairly and with much respect. Lenah Miller is a character in your last novel, The Rules. She distrusts women she considers to be too ambitious or who represent a socio-economic background different from hers. Is that a reflection of your beliefs? No, not at all. I admire ambition. My sensitivity to class distinctions doesn’t promote distrust. It makes me introspective about our tendency to deny the existence of these differences and then address the consequences of those differences. In your book Breaking Jaie, Jaie Baxter, a Ph.D. candidate, is determined to win a prestigious writing grant. Does Jaie reflect any of your own experiences applying or being nominated for grants? No, I’ve never applied for a grant. I know it’s natural for some readers to look for similarities between fictional characters and their authors. I’ve done that myself, especially if I know the author. The characters I write are often combinations of people I’ve known or observed over a period of time. Once in a while, a plot event reflects an experience I’ve had or witnessed simply because I’m black, female, and a lesbian in America. Although one of your goals was to create literature for a frequently overlooked audience, your books have crossover appeal and attract a wide variety of readers. To what do you attribute this? I attribute this to the universality of the human experience. We are more like each other than different. All of us have moments of great joy, fear, anger, love, jealousy, spirituality, shock, pessimism, and optimism. If through my books I’ve been able to tap into what we share as well as how we are different, I am satisfied. 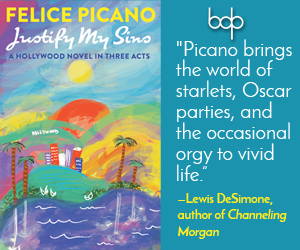 What book of yours would you like to see adapted into a feature film or a play? The Butterfly Moments, or Breaking Jaie. I have a special fondness for Detective Johnetta Jones. She’s the first character I’ve never wanted to leave behind. Did your parents read your books? Both of my parents were avid readers. My dad died of cancer when I was twelve, but I still remember the last book he was reading, And Quiet Flows the Don, by Mikhail Sholokhov. For months that book remained in our living room on the end table next to my dad’s “reading” chair. My mom, a retired English teacher, read four of my books. Her favorite was The Butterfly Moments. On Lez Talks Book Radio, you stated that for you the two most difficult things about writing are when you’re not writing and when you have to promote your work. How are you solving the promotion issue? Book promotion is a work in progress. I push myself to get past the anxiety I feel during reading/signing events and interviews. Sometimes I try to imagine I’m back in a place that’s familiar: a classroom filled with thirty-three students. In 2016, when I started working with my writing mentor, Sarah Schulman, I began to understand the intricate difficulties lesbians encounter in their pursuit to have their voices heard. What words of encouragement can you offer writers, especially those that have grown weary and bitter from being rejected and ignored? I offer the same two words that I see in response to our nation’s current vacuum of humanistic leadership: resist and persist. Resist thinking that a rejection letter means you’re a failure. Persist with your writing and answering calls for submissions. Consider self-publishing, but with the understanding that professional editing is key to the process. I’m still fairly new to the LGBT literary scene. I know you are involved with the Golden Crown Literary Society (GLS)? Can you tell me more about GLS? The Golden Crown Literary Society is an organization whose mission is “[the] education and promotion and recognition of lesbian literature.” Had I not attended their annual conference in 2005, I would not have met the many writers, publishers, and lesfic fans that I now consider my friends. I have a short story I’d like to complete, as well as the embryonic stirrings of a character who might need her story told. I’m proud to have two of my poems included in the recently published Sinister Wisdom, Number 107: Black Lesbians:We Are The Revolution, edited by JP Howard and Amber Atiya. And I write a monthly blog for Women and Words. So last question, if you invited Josephine Baker and James Baldwin to dinner, what would you serve them? The appetizer would be the expressions of respect which I hold for both of them. For the entrée I’d serve my gratitude for all the art they created despite the many obstacles strewn in their paths. Our dessert would be their answers to all of my bursting-with-curiosity questions. And after-dinner drinks would be glasses overflowing with much laughter, familiarity, and mutual understanding.